Serene, is a registered member of the National Institute of Medical Herbalists (NIMH) and of the College of Practitioners of Phytotherapy (CPP). who has been involved with Hydes Herbal Clinic for over 20 years. She is a mother of two, and is a mature, caring and dedicated practitioner, and offers the highest standards and integrity together with a deeply sympathetic approach. 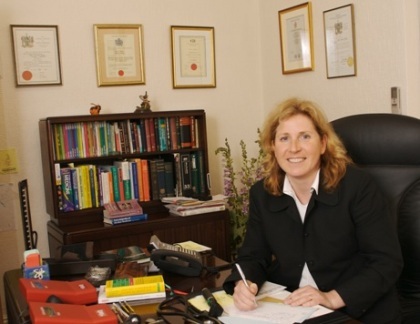 Serene has an Honours Degree in the practise of Herbal Medicine from The University of Wales and an Honours Degree in Immunology from The University of Glasgow. Whilst working in the Nuffield Department of Surgery at the John Radcliffe Hospital she was awarded her Doctorate in Transplantation Immunology at Oxford University. As Dr Foster she is a highly qualified Immunologist with 28 years experience in Medical research at some of the country’s leading Institutions, including: The John Radcliffe Hospital in Oxford ; The Imperial Cancer Research Fund ; Imperial College School of Medicine at St Mary’s Hospital, London ; St Georges Hospital Medical School, London ; and lately at Leicester University in Immunotoxicology . Serene has specialised in the Immunology of: Transplantation; Virology; and Respiratory Medicine. She has published in many scientific journals on various medical and immunological matters, including on “Mite allergens” in the Journal of Allergy and Clinical Immunology, and also on “Contaminants of indoor air” in the Journal Immunology”. Dr Foster’s years of experience in Orthodox Medical Immunology combines well with her experience as a Medical Herbalist Practitioner, striving for optimum immune function as the key to good health. She believes that plant chemistry holds many answers to the safe and effective treatment of the disease process and she and Hydes Herbal Clinic have treated thousands of patients back to good health with safe and effective plant chemistry. Serene and her work on Eczema was featured in "The Kathy Sykes Alternative Medicine Series on Herbal Medicine" on BBC2. She also writes monthly editorials on health and herbal medicine in the Leicester mercury. Serene has an active role in the understanding of Herbal Medicine and is frequently asked to present seminars at Herbal and Medical conferences. Ruth is a registered Member of the National Institute of Medical Herbalists and of The College of Practitioners of Phytotherapy. Ruth has a BSc (Hons) Degree in Health Sciences: Herbal Medicine from the University of Westminster. 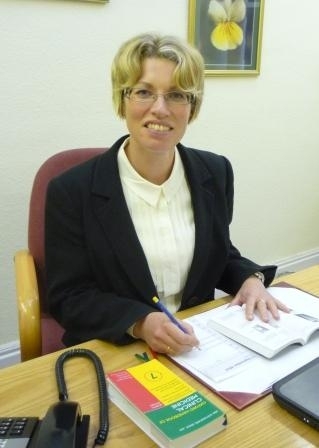 She has spent the past 11 years studying and practising Herbal Medicine, and been an active member of the East of England Medical Herbalist Group before joining Hydes, having run a successful practice in Essex. Ruth regularly consults on a variety of health concerns, in particular hormonal problems (fibroids, emdometriosis, and sub-fertility), digestive disorders (including food sensitivities/intolerances), allergies and skin conditions. She appreciates the pressures of maintaining a work/life balance having had two children whilst studying and commuting. The impact of stress, whether it be related to work pressures, illness, environmental factors, or the demands we make on ourselves, and how it affects health should not be underestimated. Ruth is passionate about education. As a volunteer in local schools she regularly helps children with their reading and phonics, and as a herbalist she has run information sessions to highlight how lifestyle choices affect our health and wellbeing. Diet and exercise are fundamental, and with this in mind she champions a rainbow diet, regularly trying new foods and recipes, particularly for children and the elderly, who tend to stick to what is familiar. Childhood obesity and the risk of Type II Diabetes are of particular concern and Ruth is currently investigating ways in which herbal medicine can help tackle these issues. Ruth’s 2006 thesis was a systematic review of the possible/perceived Interaction between Hypericum perforatum and the contraceptive pill. This touched on the important issues of compliance and patient behavioural aspects. In the past year Ruth has attended several conferences regarding Female Health and Digestive Disorders and been a guest lecturer at the School of Pharmacy & Biomolecular Sciences at The University of Brighton.